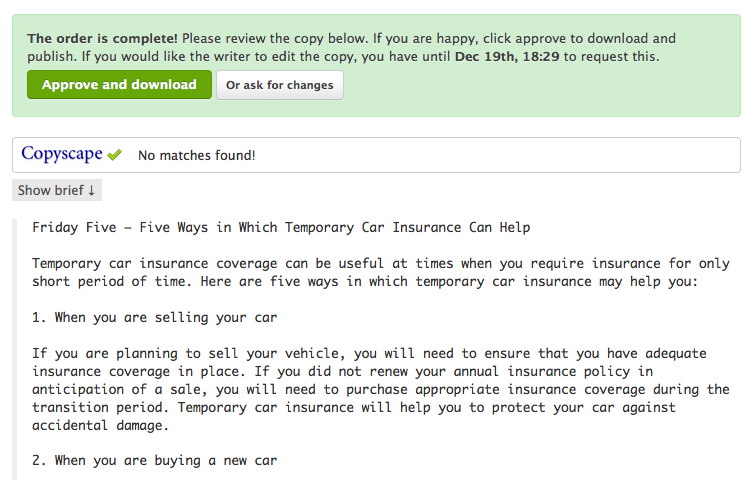 Once you have received your completed order, you can either request changes to it, or approve and download it. 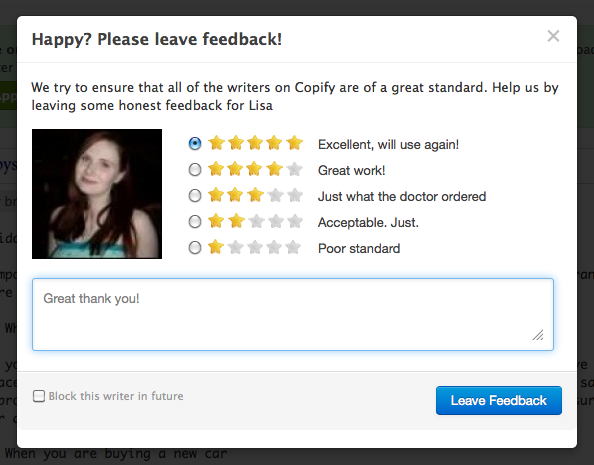 Before approving your order, you will be asked to leave feedback for the writer. Making this as detailed, accurate and objective as possible will help us to improve the quality of content delivered to you in future. Tip: If you would like to prevent a particular writer from taking any more of your orders, you can do so by checking the 'Block this writer in future' box before leaving feedback.